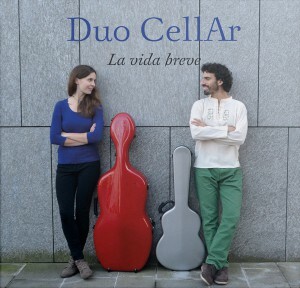 Duo Cellar’s first CD is ready. With compositions by Manuel de Falla, Luigi Boccherini, J. S. Bach, Franz Schubert, Enrique Granados, Alberto Ginastera, Ariel Ramirez, Zequinha de Abreu y Pixinguinha, we present a new program, arranged by ourselves for the instrumental combination Cello-guitar. Our first Cd is out now !